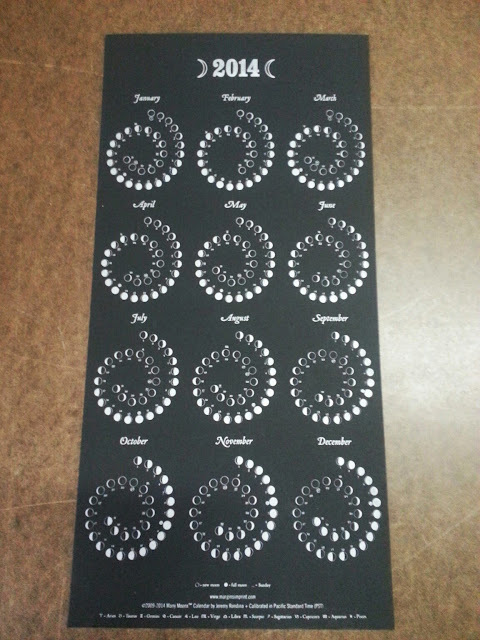 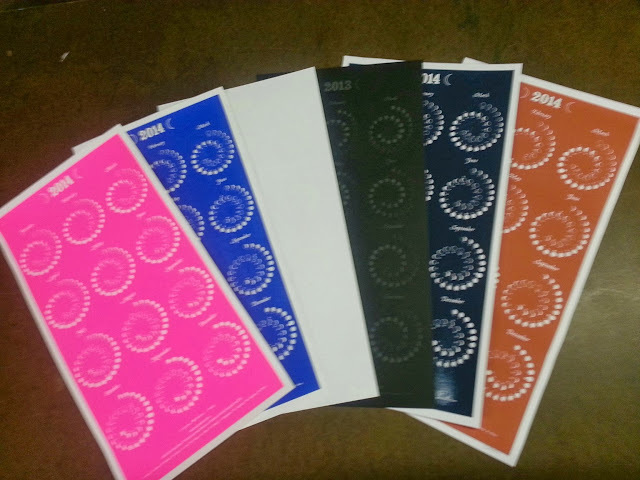 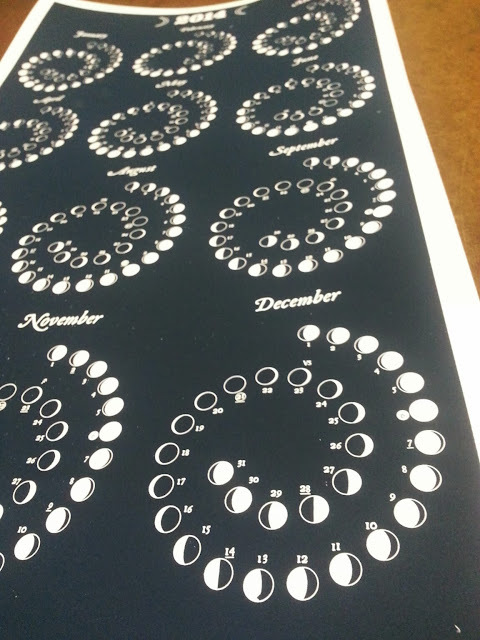 We have been printing the moon phase calendar for MARGINS IMPRINT since 2009. 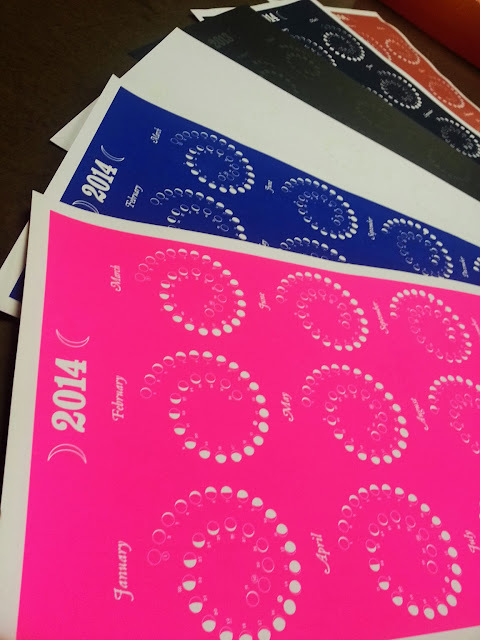 And every year he has started ordering more and more each year. 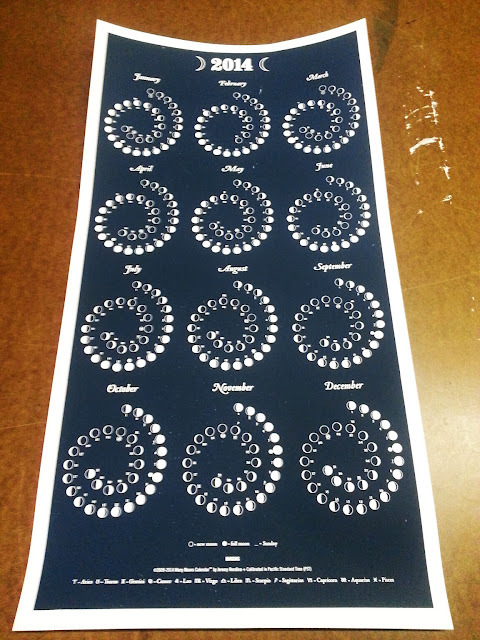 It has come to a point where we started sampling the 2014 orders back in June and have printed over 15,000 posters for them just this year alone. 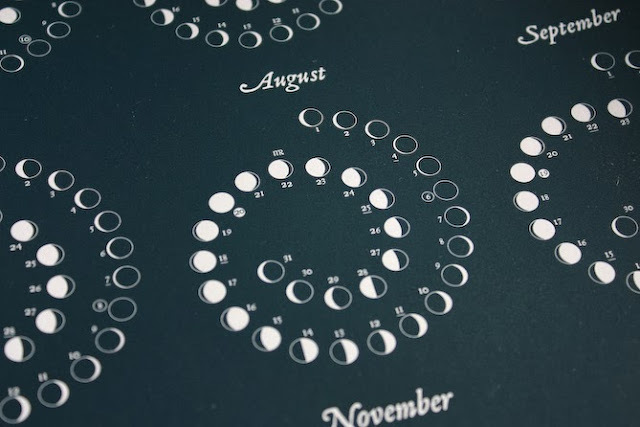 These calendars are printed with high opacity waterbased inks, and there are 2 versions: the full coverage colored ones, and minimal coverage on black paper. The full coverage posters cover over 95% of the entire poster, and are very difficult to print correctly, but we here at Print Renegades have mastered this art. We do full color matching, set up and printing of thousands of moon calendars for Margins and look forward to another 5+ years of more with them!